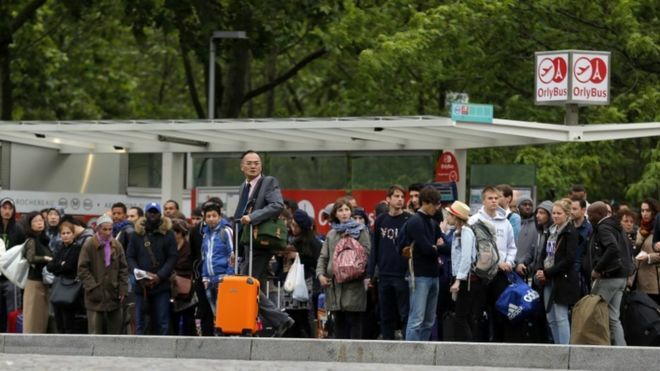 BA and Ryanair have cancelled flights on Wednesday and Thursday as French traffic controllers start their fourteenth bout of industrial action this year. Ryanair cancelled 22 flights on Wednesday night and 72 on Thursday. BA has also cancelled flights but declined to say how many, saying the information goes out of date quickly. Flights that normally route through French air space are those affected. Passengers are advised to check the status of their flights. It said it would use larger aircraft, where possible, to help affected customers. Ryanair warned there could be more delays. Ryanair said: “This French… strike will impact hundreds of thousands of European consumers and throw their travel plans into chaos once more. BA has offered customers due to fly to or from France on Thursday the opportunity to rebook. The lobby group Airlines for Europe (A4E), which represents airlines including EasyJet, Ryanair and BA’s parent company IAG, has called on the European Commission and governments to take action to reduce the impact of air traffic control strikes.